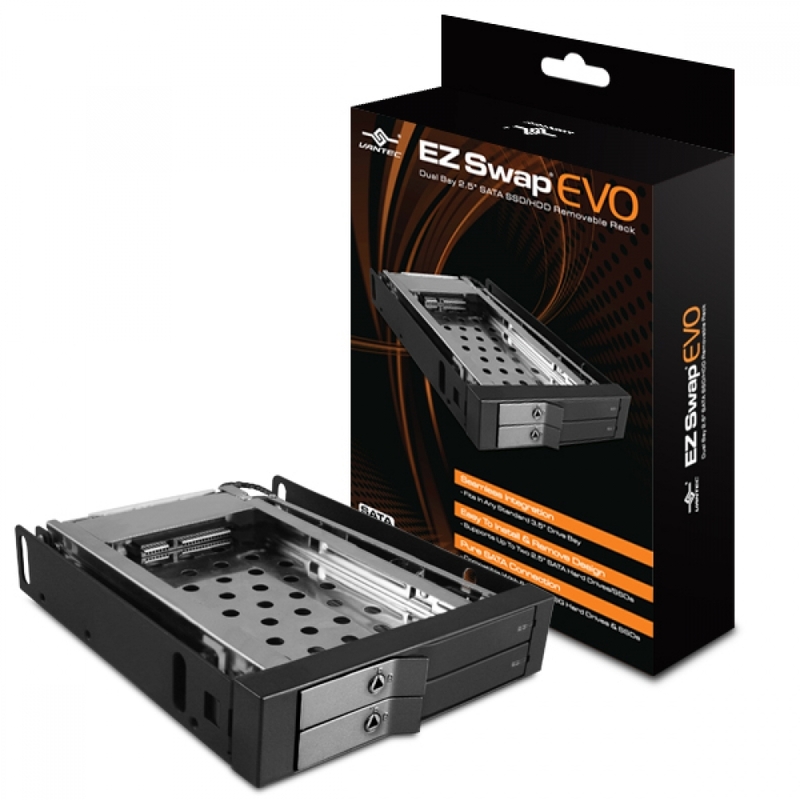 Introducing the EZ Swap EVO, the latest in removable rack for holding your SATA I/II/III SSD or HDD. 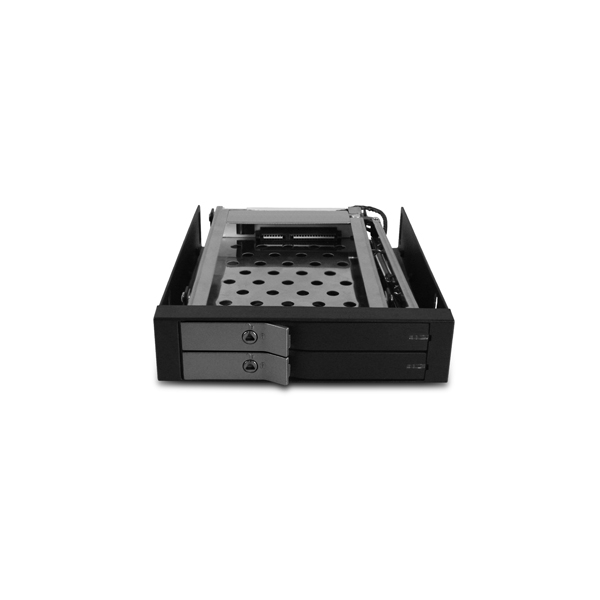 This removable rack is compact, strong and simple in design to give the convenient of swapping your storage device at the same time provide you with the security of locking up your storage. 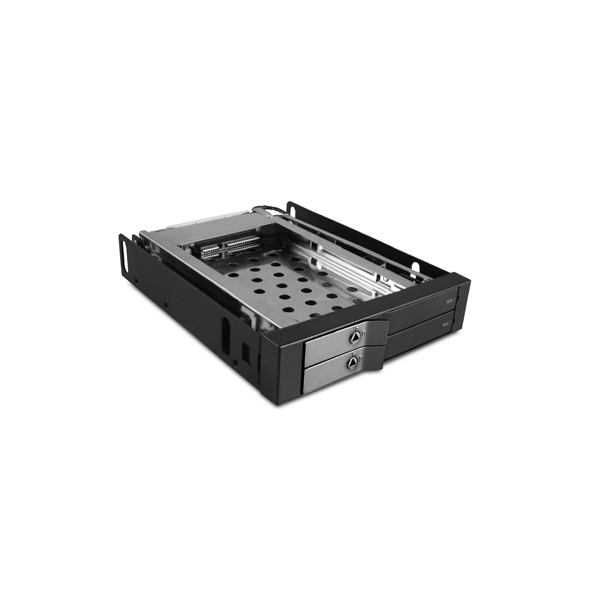 It fits easily into any standard 3.5" drive bay and crafted using Aluminum to dissipate the heat generated by your speedy SSD or HDD. 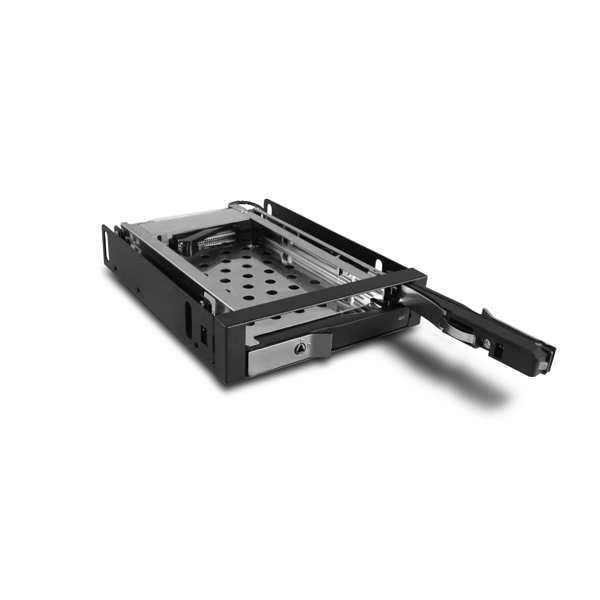 The pass thru interface will offer your SATA III SDD/HDD screaming throughput that you always like to see in an enclosure from Vantec like the EZ Swap EVO.